Mobile Poker Options – Can I Play Las Vegas Style Texas Hold’em on My Mobile Device? With so many advanced features being integrated into mobile technology, it is no wonder that our gambling entertainment is making the transformation as well. The big question will be whether or not mobile poker sites will mean compromising on the poker gaming experience itself. The answer to that question will be dependent on multiple variables within the industry and in your own personal preferences and gaming needs, and the answer will be different for everyone. To help you arrive at the best solution for your poker gambling entertainment, we are going to break down some of the areas that can influence the decision one way or the other. Is mobile poker available across all mobile platforms? Yes, in one form or another, there are mobile poker options available for iOs, Android, Blackberry and Windows devices. Those options vary a little by platform. For example, the Google Play Store does not allow real money gambling applications in their store, hence Android device owners will need to rely on our preferred options, which are the web based mobile optimized poker sites. There are mobile poker sites included in this guide that support the four primary platforms, while a few selectively support a smaller range of operating systems. All mobile poker sites that you come across will offer support for the iPhone, iPad and Android powered devices. 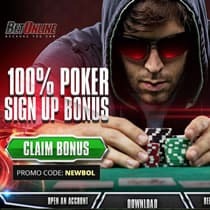 The Apple App Store, BlackBerry World and the Microsoft App Store all are more flexible with real money gambling applications, so it is possible they will offer mobile poker apps at one time or another, though we consider these options to be subpar in comparison to the web based applications launched by the trusted brands in real money online poker gambling. Which Mobile Poker Format Has the Most to Offer? Mobile poker comes in two distinct formats. We have your third party applications that are developed and published in the various app stores across the platforms. We also have web based mobile optimized poker sites that deliver an online poker experience that is engineered for your mobile device. After carefully reviewing both formats and what they have to offer, we definitely determined that the web based options offered a superior experience and greater access to real money poker gambling on your mobile device. Here are the findings which led us to that conclusion. The third party real money gambling apps are not available for Android devices in the Google Play Store, and most of the real money poker applications found in the other app stores do not allow access to USA players. Web based mobile poker sites offer welcome bonuses, reload bonuses, special promotions and player rewards programs. Third party apps usually cannot compete with the value and range of these incentives. Third party apps often cost money to download while web based mobile poker options are always free. The actual gaming interface, performance, and experience at web based mobile poker sites is much more robust, authentic, enjoyable and feature rich than the third party applications are. The web based mobile poker sites offer both cash games and tournament games around the clock with strong traffic and participation. Third party apps cannot typically boast these elements. Web based mobile poker sites do not require any space on your device, leaving you more room for your non-gambling related applications. These sites can be bookmarked to your home page for instant, one click access just like the many apps on your phone. What Variations of Texas Hold’em are Available from Vegas Style Mobile Poker Sites? The most prevalent game found at the top rated mobile poker sites is Texas Hold’em. Being the most popular poker game out there, this makes perfect sense. We found that most sites offered both cash games and tournament games, with an active schedule around the clock. Buy-ins spanned from $1 up to high roller status with strong variation to accommodate a range of players. You will find various versions of Limit, No Limit and Fixed Limit Hold’em games. Speed poker play is also available. The games included a feature rich interface, well designed graphics and functionality, and player tools that were beneficial to the success of the gaming session. How Reliable is the Software Platform at the Top Rated Mobile Poker Sites? The software platforms used at these web based mobile poker sites is technologically advanced, with strong security features in place and a consistent and reliable performance. Each brand’s mobile presence is derived from their existing online poker room, tapping in to the powerful software solutions that have been successfully providing online poker gaming for years, and integrating responsive technology and other development aspects to engineer the offering specifically for mobile devices. It is this remarkable technology that allows these poker sites to render perfectly sized and proportionally functional on your mobile device, regardless of what smartphone or tablet you are using. The poker rooms that we feature in this guide collectively cover all the primary mobile platforms. WSOP offers a mobile poker app, but it is only available for Nevada players at this time. Instructions for getting the app is available in your account settings once you open a real money account. For the rest of the USA we recommend playing at Bovada.